Have you ever considered displaying your national affiliation via flash drives? Ever thought of them as patriotic gifts? It doesn’t matter if you’re at the office or killing time at a foreign airport. Whether you’re doing a presentation for a federal department or sticking it out on a military deployment – with patriotic flash drives you can greatly show your national byte. Or just invoke a bit of home. Authentic in color and detail, this stick of liberty is accurately scaled at 330:1 and works best in a new port. At least 2GB can immigrate as well as emigrate and with the bigger and better version, even up to 16GB. To ensure safety of the digital citizen, a department of AES-256bit security is integrated along with password protection. If the liberated files should prove too messy though it’s easy to erase and start all over again. Likewise, if installing order on the computer of conflict seems futile it’s easy to pull out of the quagmire. Then, for a well deserved rest, you can cover the USB connector with the base and your Statue of Liberty flash drive can stand proudly on your desktop. 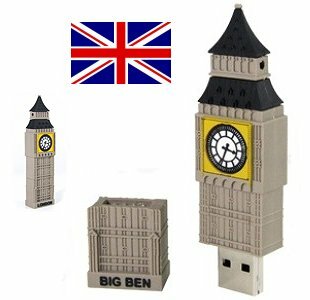 Although the Big Ben memory stick is not accurately scaled, it can strike powerfully with 1-16GB while you’re leisurely sipping on tea. Not falling short of the Statue of Liberty in other compartments, it too supports AES-256bit encryption as well as passwording. This ought to make it work as reliable as the real Big Ben which, by the way, is the world’s largest four-faced chiming clock (this for you uneducated non-Brits). Though one may surely create a data empire with this Big Ben flash drive it isn’t truly loyal. That’s because it’s manufactured by Chinese company iMicro which one would have suspected rather with the USB Statue of Liberty, given the Chinese mass production of post 9-11 US flags. But astonishingly, that one is actually made by the American firm Super Talent. And I’m sorry lads, but the next example also shows that the British don’t have it quite right yet. 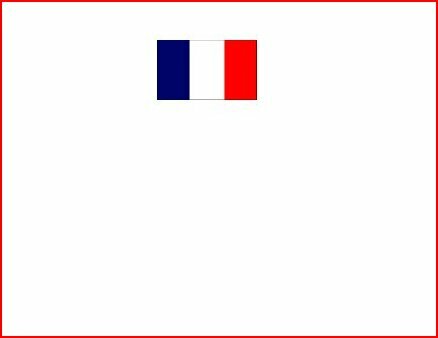 Excusez-moi, what about the French? I would have loved to promote an Eiffel Tower flash drive here but sacrebleu and mon dieu, it’s nowhere to be seen. Honestly, you have to pardon me. But mabye the Statue of Liberty flash drive could work just as well here, seeing that the French created the Lady and gave her as a present to the Americans? After all, the designer of the Eiffel Tower – Gustav Eiffel – was also the engineer of the Statue’s inner structure. Yeah, eat that you freedom fries loving Americans! Merci. As for other countries – while speaking of foods -, we could relate the Fortune Cookie Flash Drive to the Chinese, the Pizza Flash Drive to the Italians and the Sushi Flash Drive to the Japanese. Then we could associate the Hamburger Flash Drive with the USA as well as the Donut Memory Stick and USB Bacon Flash Drive. Oh right, we already got the Americans covered. Sorry about that! Bearing a country’s flag with beautiful enamel coating you can exercise 2GB of patriotic duty. Now geeks of every nationality should be able to find happiness as I’m sure ebay sellers can make flash drives with any flag. At last, we’re really talking patriotic gifts! But – let us also consider a general approach. After all, we live in global times with a multi-cultural society. So how about a neutral Patriot Flash Drive? With a Magnum, Razzo or Xporter you’re guaranteed to have compatibility. 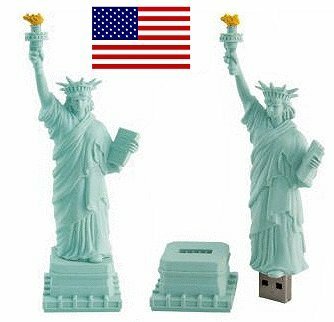 Because who can actually ensure that a Statue of Liberty memory stick will get along with a Toshiba laptop? Or that a Big Ben flash drive will tolerate Fujitsu Siemens? Well, my friends, that probably lies in your own hands. Neat looking usb drives. Haven’t seen once of those in the local stores. Haha! Great Idea. The market nowadays is ruled by so many good ideas. Love the liberty USB! What about a German one – perhaps a towel? I don’t quite grasp your idea of a towel…? I guess for German we could use the VW Beetle flash drive. I would like the Statue of Liberty. where can I buy them? just follow the links to ebay or amazon. I would like a memory stick or other memorabilia with a Kenya flag on it. Any chance of that? That’s really cool. What are the other countries they have? I would love to get one of them. just follow the store link above to check. At the moment it looks like they have about 2/3 of all countries. Awesome. Some of them are very good looking, like the Big Ben. These flash drives are really somehting different, i’ve never seen anything like them available in any shops. They would make great gifts if you are looking for something new and unusual. My kids will definately be getting one. I actually prefer the statue of liberty one, even though I’m British. I think the Big Ben one isn’t that great. I love different things like this though, and they make great gifts for people who are always using computers. I love the country flagged usb stick, its actually quite patriotic if you think about it! you guys come up with the most amazing designs, seriously! Hi, its a great Idea for USB sticks. My favorite is the Big Ben. Great ideas for USB flash drives. I’ve seen a lot of national themed items being released lately. good lookin on the jamaican usb!! wahooOOoo!! I just discovered these “custom” USB flash drives. I have a number of clients these will make great gifts for! Not sure how you found them but I love it!! Impressive gifts! Good idea! I think it’s a great opportunity to buy something memorable for tourists! .-= MissSapphire´s last blog post ..If you register your site for free at =-. Too cool! Big Ben and Statue of Liberty are my favorites. Although with the World Cup just over, I’m sure you’re seeing a huge jump in the world flag USBs. .-= Camden@Gadget Gifts´s last blog post ..Dopp Kits- What to Pack in Your Dopp Kit =-. I love those designer USB flash drives!!! Those are great. I always carry a USB flash drive with me since I’m a PC Tech and always need some programs handy. I have to get some of these patriotic USB drives! Thx for the great post!! .-= massage therapist degree´s last blog post ..Response cached until Wed 4 @ 17:14 GMT (Refreshes in 23.83 Hours) =-. That would be fun to collect all of those unique design memory stick! Dlf, you would probably need several rooms for that because they’re coming out with unique flash drive designs every single day. i dont know who thinks up tese designs, very creative people out there. the big ben is my favorite! Jake: Maybe, but where’s the fun in generic? I love the Big Ben flash drives! These can make great gifts for friends.